Are you ready for the new season of The Body Type? Freeform just announced the premiere date for season two. Season two of The Bold Type premieres on Freeform on June 12th at 8 p.m. ET/PT. 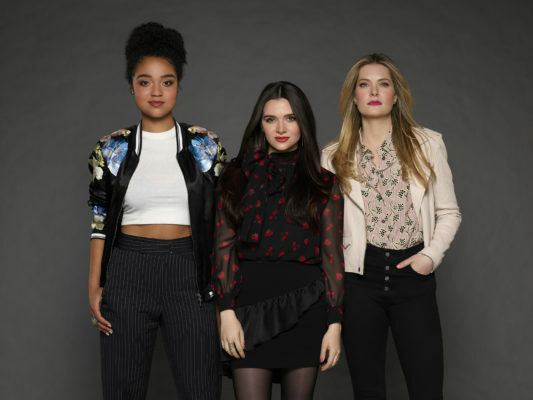 In the two-hour season premiere of Freeform’s breakout hit series “The Bold Type,” Jane, Kat and Sutton are each faced with new beginnings and wrestle with the changes in their careers, friendships and love lives. The series, named one of USA Today’s “10 Best New TV Shows of 2017,” makes its highly anticipated return, on TUESDAY, JUNE 12, with a special two-episode premiere, beginning at 8:00 p.m. EDT/PDT. To get ready for the new season, fans can catch up on season one on Hulu, Freeform.com and the Freeform app. Additionally, the first episode will be available one week early to Hulu subscribers, beginning Tuesday, June 5. In the first episode, “Feminist Army,” Jane is excited to publish her first big piece for Incite, especially since she’s writing about a female CEO she admires, and she knows Jacqueline will be reading it. Sutton is thrown when a new corporate policy seems to give her and Richard the green light on their romance. And Adena grows frustrated when Kat seems too eager to flaunt their burgeoning relationship. In the second hour, “Rose Colored Glasses,” believing it shouldn’t matter, Kat bristles when Alex recommends she highlights that she is black in her company bio. However, while introducing her parents to Adena, Kat is forced to confront how her avoidance of labels has affected her life. Sutton is horrified when she discovers her fellow fashion assistants think she was asked to organize a photo shoot featuring “honorable men” for reasons other than her talent. And Jane tries to defend herself after the fallout from her Incite article, which doesn’t go as planned. What do you think? Are you a fan of The Bold Type? Will you watch season two? I loved the first season, I can wait to watch season 2. Loved it ! Looking forward to Season 2. Didn’t enjoy the first season, Won’t but the second.